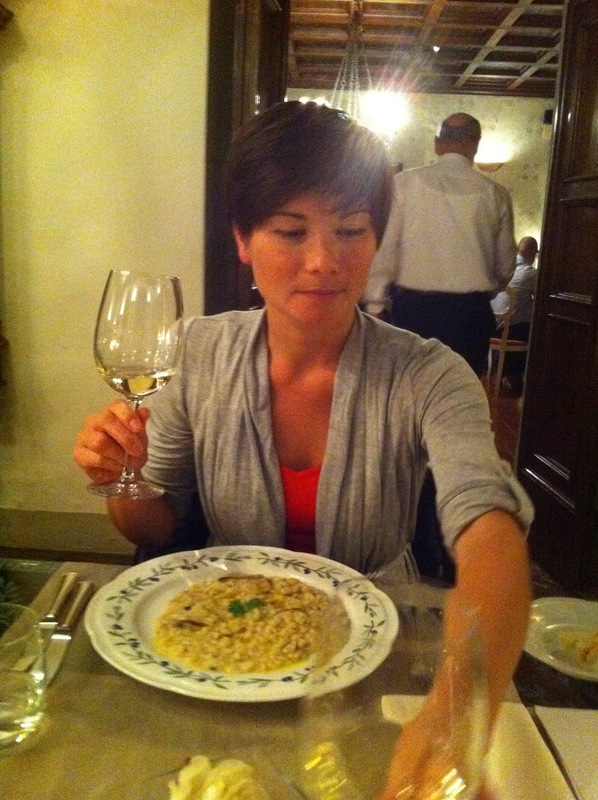 AmorOlio at Villa Campestri | eat. write. smile. 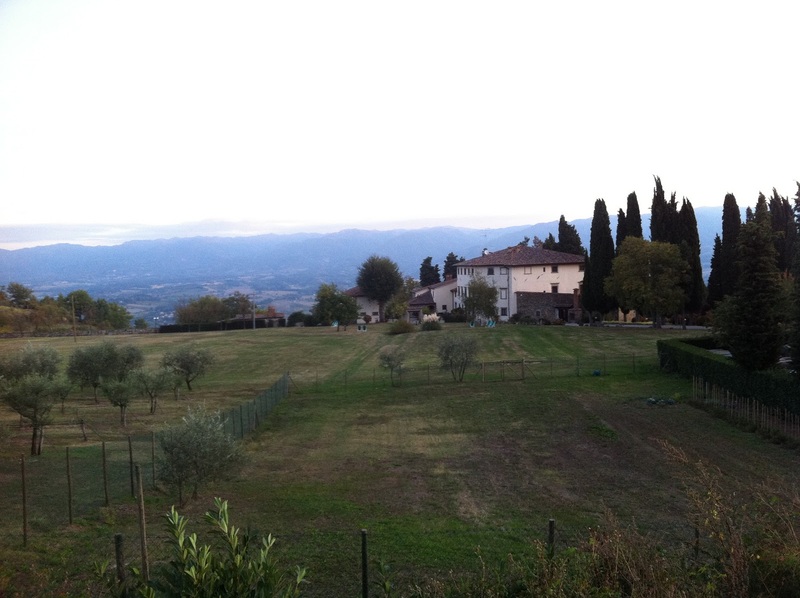 I’m in Vicchio di Mugello, a tiny Tuscan town about 30 minutes northeast of Florence. The hills are perfect for long walks, the pasta is delicious, and the olive oil is like nothing I’ve ever tasted. A cold and windy winter is just around the corner, so luckily there are no American film crews and no huge tour buses clogging the roads. Thanks to the very generous Paolo Pasquali and Nancy Harmon Jenkins, I’m tagging along as an assistant for AmorOlio, a week-long immersion in olive oil culture and Tuscan cuisine. This visit has proved quite timely, as olive oil makes headlines in both the New York Times and the Wall Street Journal. In the past three days, we have inspected olive groves and visited traditional mills where olive oil is pressed. Through lively tasting sessions, we have discussed the taste of great oil, the different ways it can be spoiled (heat, exposure to oxygen, and light), and how to educate consumers without condescension. 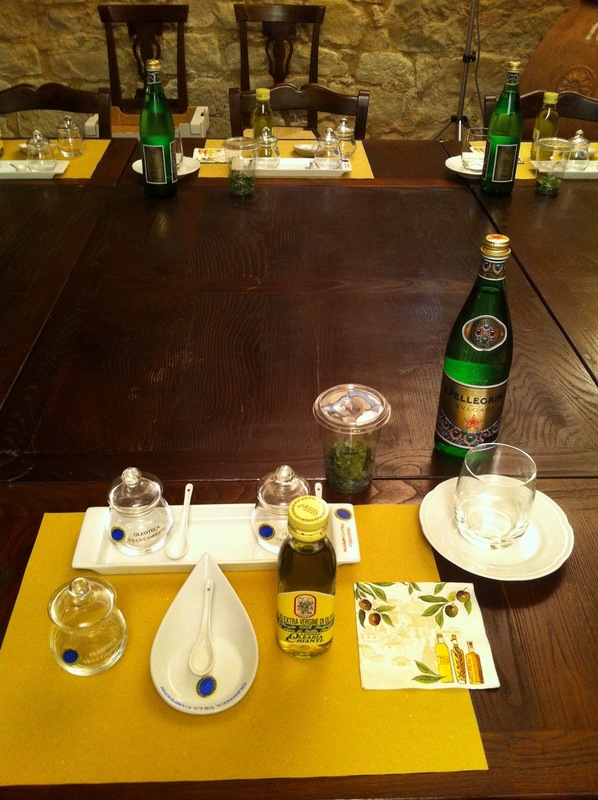 Of course, we have cooked every day to test food pairings with dramatically different oil styles. It’s been a great post-graduation trip to decompress from culinary school while still staying inspired by food. 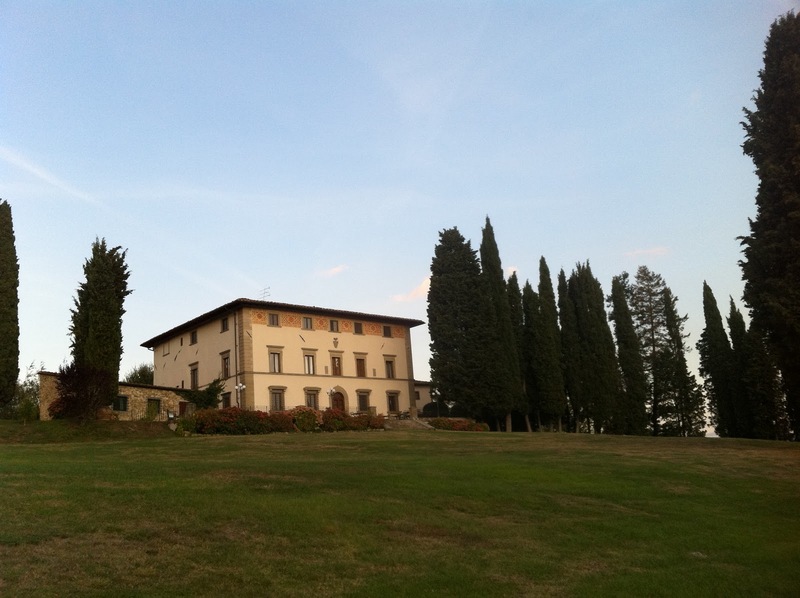 Here are a couple photographs from our time so far at Villa Campestri. 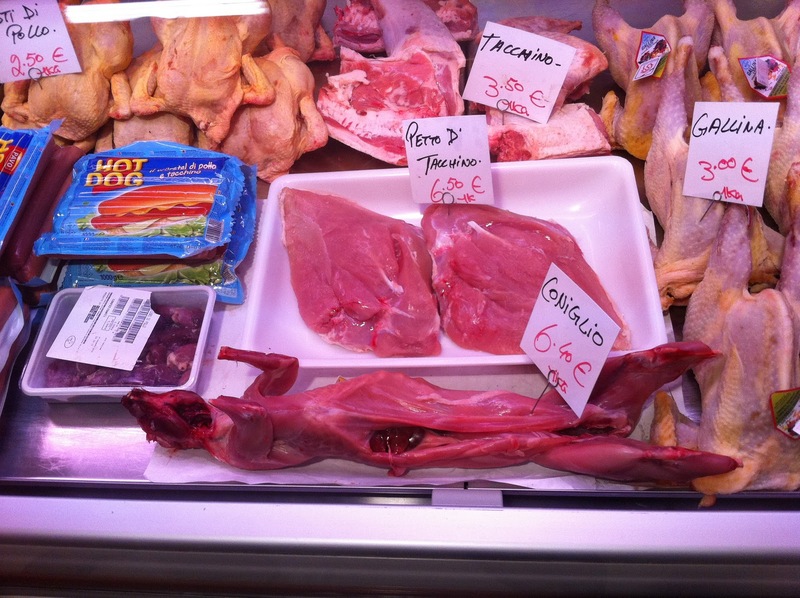 A meat counter in the San Lorenzo Mercato Centrale in Florence. It’s also reassuring to see that “Hot Dogs” are the same in Italian. 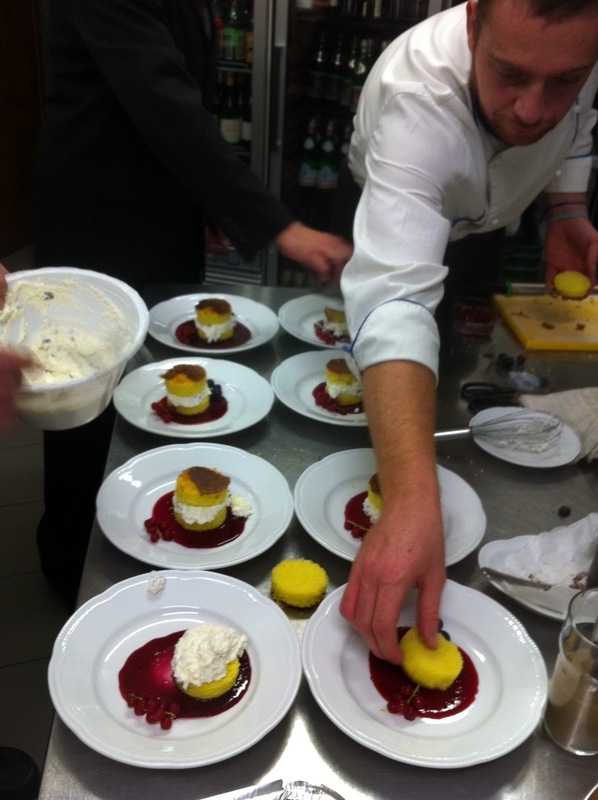 olive oil cake with ricotta and wild berry coulis. 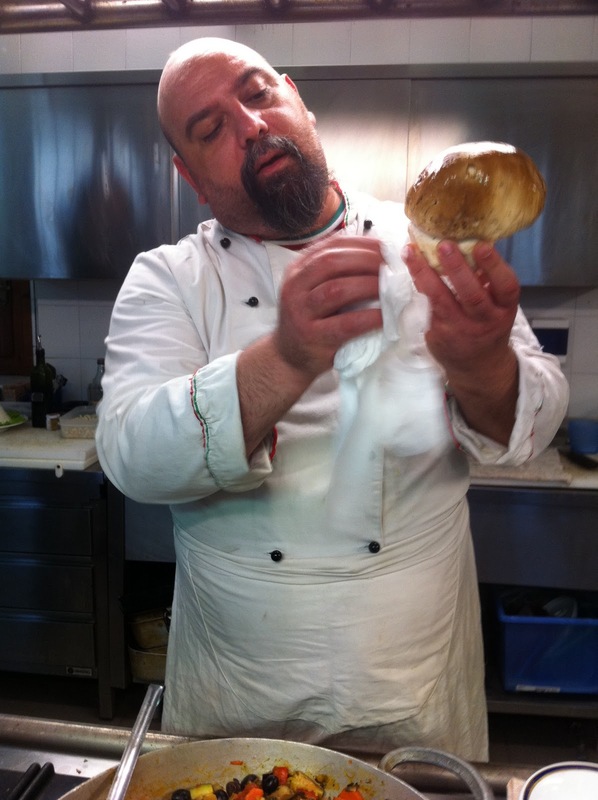 Chef Jerry holds a beautiful example of a porcini mushroom. 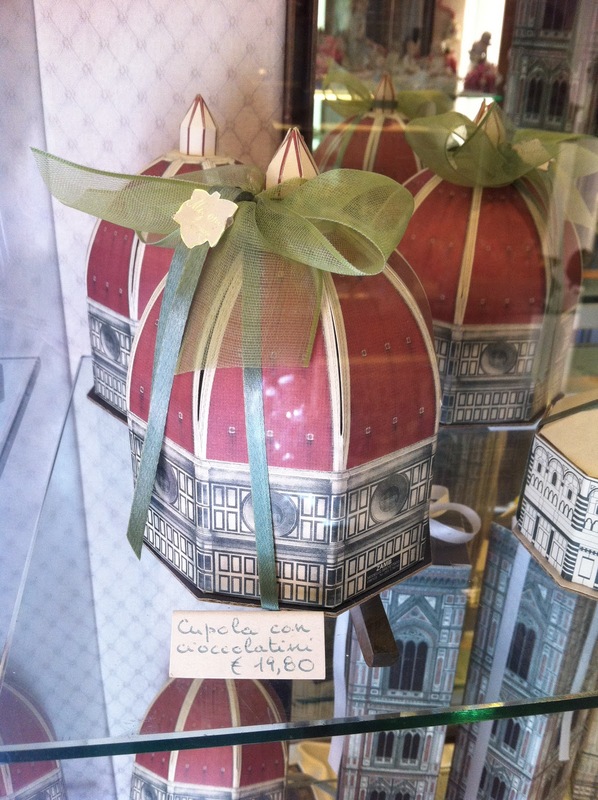 In Florence, chocolate truffles come in a too-cute cupola box. Villa Campestri Olive Oil Resort, my home for the week. 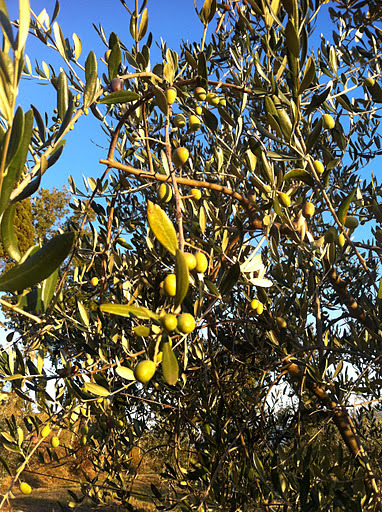 I’ve learned a lot about high quality olive oil; it can be sweet, grassy, peppery or lemony. It can be structured and complex, like wine. It can also spoil rancid or get moldy if it was poorly pressed or improperly stored. Bright green at first, olive oil will lose its color- and its healthy polyphenol properties- as it gets older or if exposed to high heat during storage. If you have a bottle of nice olive oil, use it! Olive oil is best fresh. 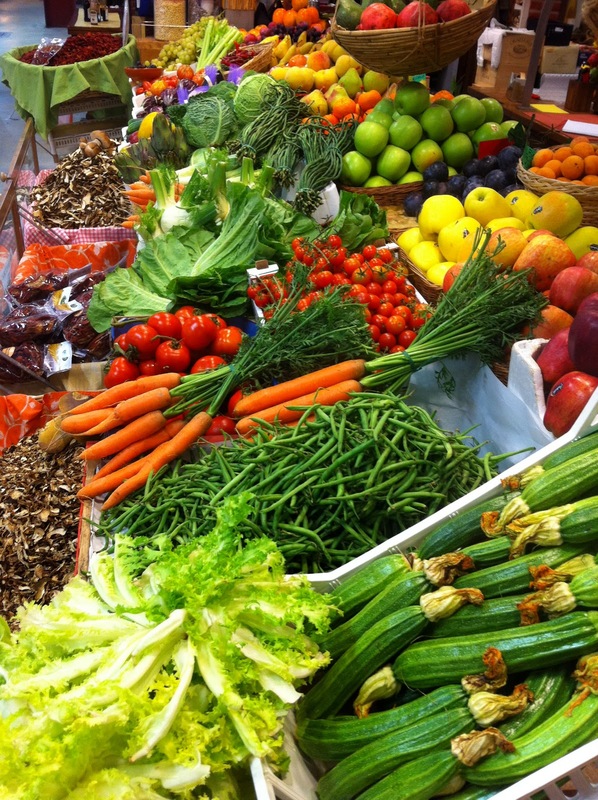 The longer it lives in the cabinet or by the stove, the less flavor it will bring to your plate. I’m hoping to bring home a couple cans of high quality oil from Villa Campestri, named Olio di Cosimo for Pasquali’s grandson. It’s peppery, bright green, reminiscent of artichoke and a freshly-cut lawn. Once I get back to New York (Mon Oct 24th), I’m planning to make salad, some butternut squash soup, maybe even a pizza to find the best pairing with this delicious oil. Give me a buzz if you want to join! 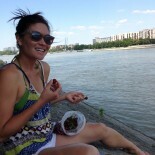 This entry was posted on October 19, 2011 by Ruthie in Uncategorized.